In the accounting world, we called our busy season, “Tax Season”. It takes place during the months of March and April and ends on the deadline of April 30th. In the financial world, the equivalent is RRSP Season, culminating on March 1, the deadline to contribute for the previous tax year. This is the time of year that people start to think about taxes, investments and saving money. You may have already seen banks and other financial institutions advertising RRSPs. ‘Tis the season! Are you ready for it? My friends at RateSupermarket.ca have put together a fantastic resource, a Retirement Savings Guide. It’s free to sign up for it and provides helpful information and tips about everything you need to know about RRSPs. Over a 10 day period, you’ll be sent a series of four emails giving you the facts about RRSPs with the goal of making an often fuzzy subject seem clearer and easier to understand. 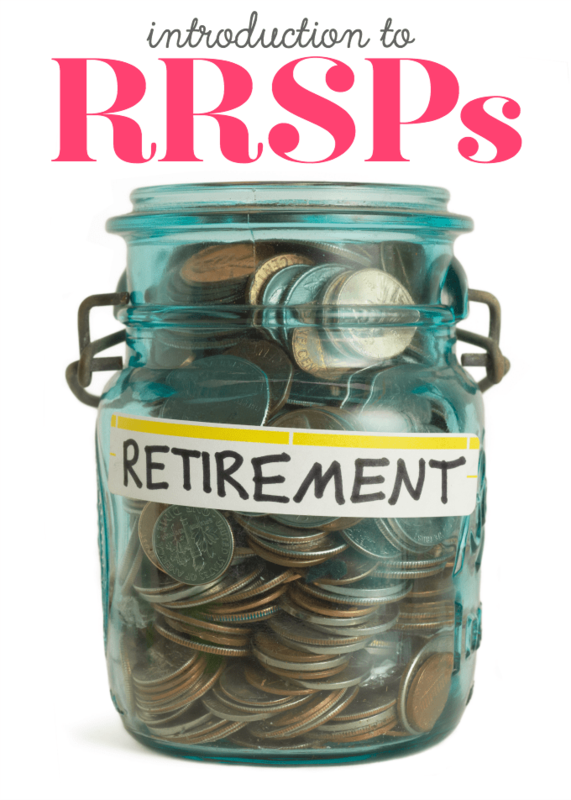 What is great about this RRSP Guide is that the information is written in easy to understand terms and plain English. Think of these emails like a tool to use to help you in decision making. I had an RRSP when I was married before. We cashed it out to pay down our marital debt before we divorced. I’m familiar with the basics – or so I thought. It turns out there was several key pieces of information I didn’t know. RateSupermarket.ca’s RRSP Guide gave me a better picture of what they are and how they can benefit me personally. I was on the fence about buying one until I sat down to read the emails. Now, I’m planning to buy one and trying to decide how much to invest and where to go. I desperately need the income tax deduction this year! I’m turning 40 in a couple years and only recently started thinking about retirement. Yes, I know it may be late, but better late than never, right? Since I’m self-employed and I don’t have an employer pension, I need to consider how I’m going to live in my later years. An RRSP is one of my options. Check out this eye-opening video about Canadians saving for retirement. RRSPs are not an investment on their own and can be compared to a box that shelters anything you put inside it from being taxed. The two biggest a-ha moments for me were when I learned how quickly savings can add up over the years AND the analogy that RRSPs are a box that shelters an investment from tax and are not specifically an investment themselves. If I was on the fence about starting an RRSP before, I’m not now. I’m starting one soon so I don’t miss the March 1st deadline. Sign up for RateSupermarket’s RRSP Guide to receive the lowdown on RRSPs AND enter to win $2,016 for your retirement plan. It’s open to Canada only, excludes Quebec, and ends on February 29th. I think you’ll find the information valuable and insightful and the contest is an added bonus! 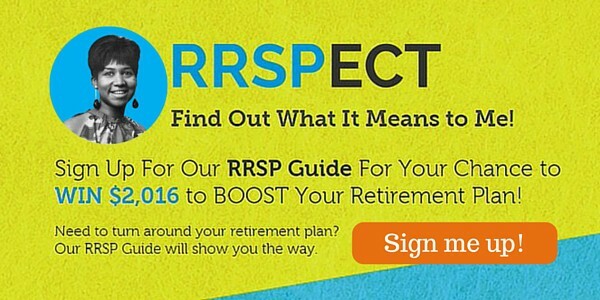 Will you be contributing to an RRSP this year? My husband is an accountant, so I know all about that “busy season”. Thankfully he’s on top of our investments for retirement, too! All great tips! I’ve been looking at my retirement a lot to make sure I’m doing what I can! Thank you for all of the useful information. I’m a financial nitwit so this was perfect for me! I try to contribute every year to my RRSP. It is so important to save for your retirement. I’m not contributing this year as I’m unemployed. I do have a nice egg saved from my corporate career that’ll continue to grow. Once I’m back in the game I’ll start contributing again. I agree, it’s important to start sooner than later! Tax season is so stressful and thinking about retirement plans too! I will definitely be looking into RRSP more. Retirement has been a huge topic for us in the last few months! We contribute to Roth IRAs but are stepping it up a notch this year to make sure we save more for retirement! People need to be aware of how to save for the future! Thanks for educating people! Saving for the future is very important. This is my main goal this year. This is definitely something I’d like to look into. I do think this is a good idea for everyone and had I lived here earlier I would certainly have had a RRSP.